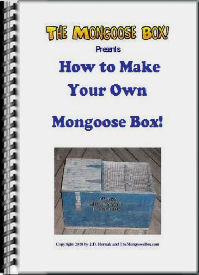 Mongoose Box Prank Plans - Whether you're looking for shop class projects or the Animal Box prank, leaping critter box, flying squirrel box, trick rat box, or Badger box, you've found them all with the Mongoose Box! You can say, I scared you! Okay, here's what I was looking for when I rediscovered the mongoose box. I couldn't find squat on actual plans so I made 'em myself. I got a little crazy doing it, and put more into it than it probably needed, but I wanted it complete. 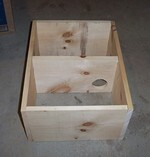 This instant-download pdf ebook, 34 pages, has step-by-step plans for an easy to make mongoose box using a single 8 foot pine board and part of a 2x4 foot piece of plywood. You might have what you need at home right now but everything can be found at your local lumber yard, hardware store, or home improvement center. I've included a materials list and describe how I modified a surprising hardware store item to power the box. I never, ever, used one in real life but it was perfect here! Whether you're a high-schooler looking for a shop class project or just someone who never got into cutting wood for a hobby, these instructions are detailed enough to help those with few real woodworking tools or wood-shop know-how. 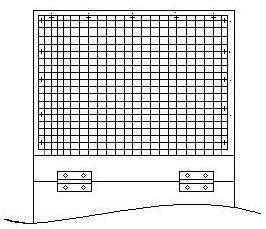 Each step is clear and there are plenty of line drawings to make your mongoose box construction easy to follow. Since it's an ebook, you can read it on your monitor where you can zoom in and out on the drawings. Or you can print it out for stimulating bedtime reading and dream about people screaming. You'll be rarin' to go the next day with your shopping list in hand. A separate pdf book of photos comes included with your order as a visual aid, so you can see each stage along the way. It's separate so you can view the photos on your monitor, rather than printing them with the book, and conserve your (outrageously priced) printer ink. You see, I'm always looking out for you! While the diagrams will tell you the story, you may want to read through the whole thing once to get all the hints and tips to make the job easier as you go along. I'm not out to price gouge anyone so it's just $9.95 and it's an instant download. I would have happily paid that much and more to get this info when I was looking for it and I know you'll be happy with what's inside. If you're not, I want to know about it. I'm a "handshake is my word" kind of guy and I'll do what I can to fix it or refund your money. You can't get any fairer than that. The detailed, 34 page, Mongoose Box Plan eBook. The 12 page photo ebook of the box as it's being built. An unannounced *bonus* ebook of seven pranks to try at home! All that for just $9.95. I'm a newbie to this online business thing and everything I read tells me that the price should be $19.95 or $29.95 for a package like this. I'm going to research this more but, for right now anyway, I'm gonna leave it where my gut says I'd like to find it if I was searching for it. Grab 'em all while you can. 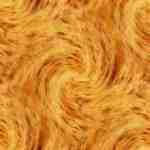 Hit the yellow "Buy Now" button below and you can be reading them in just a few minutes. Once you've made payment, be sure to look for and click the link to "Return to Merchant" or Vendor or some such thing on the Paypal site to get your plans. → IMPORTANT NOTE! After payment, be sure to click "Return to Merchant " on the Paypal site and they'll send you directly to your own personal download page for your ebooks. You don't know how many folks miss doing this! If you missed the Paypal return link and are wondering how to get your plans, email me your Paypal receipt (mail@TheMongooseBox.com) and I'll manually send you the ebooks as an email attachment within 24 hours. When you're done reading them, and finished making your box (or two,) I do have a favor to ask you. I'd appreciate your feedback via email (below) so I can make the plan book better for others. We're kind of kindred spirits here with our mongoose boxes so feel free to share your thoughts.